Learn how to build a simple soft circuits! Explore different techniques for getting started in crafting using electronic components combined with sewing, fabrics, and more! The first part of the workshop will include a presentation on soft circuits, inspirational projects, and information on available technologies and kits to work with. 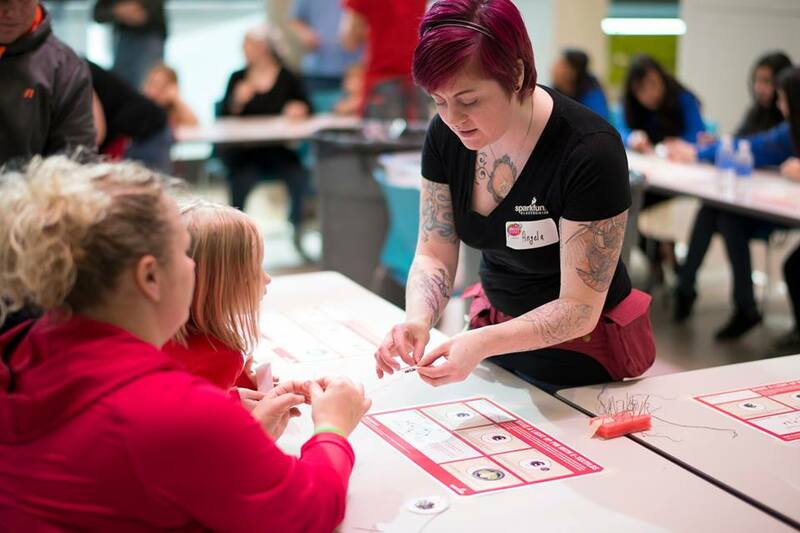 Next, get some hands on experience sewing circuits with conductive thread using the LilyPad ProtoSnap E-Sewing Kit to add some blinking lights to your clothes, plush toys, or embroidery. The 3-hour class will include a 1 hour intro to materials/soft circuit presentation and 2 hours of hands-on project building.